It's crazy to think this year was already our 5th Annual Excell Girly Girl Weekend! What?!?! Can I just tell you how much I love this tradition and how much I love being in a family that instigates fun ideas like Girly Girl Weekend and keeps them going full steam ahead for five years with no sign of slowing down? It is something I've grown to anticipate every year (as long as I'm not the one in charge). This year was Celeste's turn to plan our events. 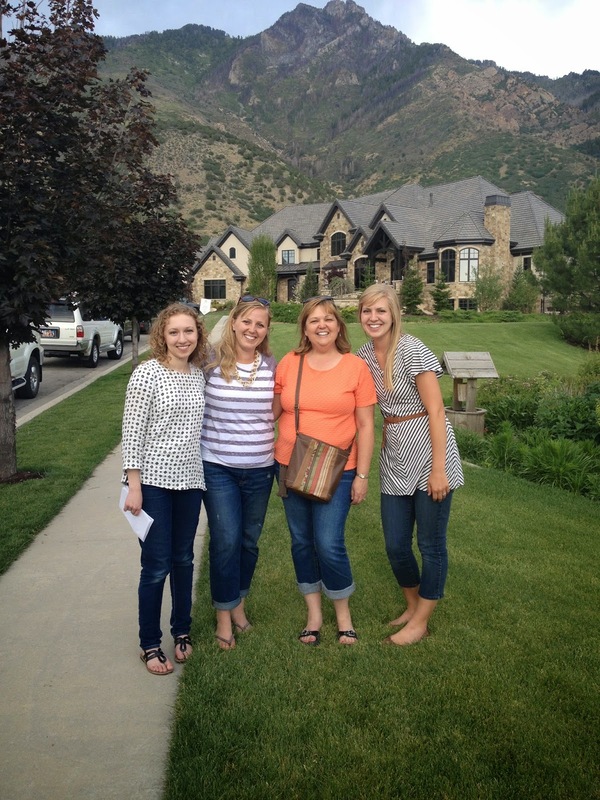 She took us to Provo where the Parade of Homes was in town. 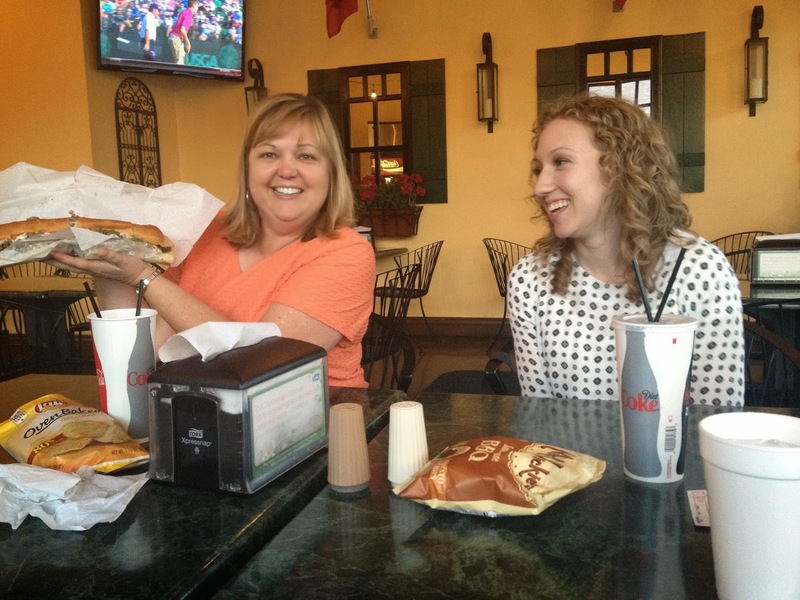 We started the weekend with lunch at Magleby's. I hope to return one day for another stuffed breadstick because every cheesy, buttery, carby calorie I devoured was completely worth it. Lunch and Laura's stash of Dove Mint Chocolates kept us energized as we made our way through over-the-top million dollar houses speckled throughout Utah County. 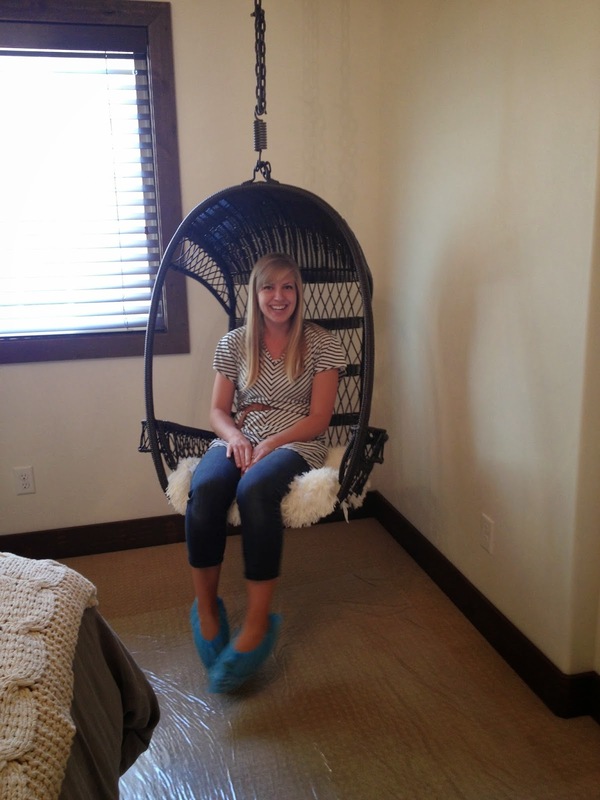 Sometimes when you have a million dollars it's important to add a hanging chair to your child's bedroom. That crashes into the wall with every swing. The wind kept us cool and added a little extra umph to our hair by mid afternoon when we would have otherwise been overheated and volumeless. The elements were ever in our favor. I only ended up taking two pictures inside the houses. One of this room that was much prettier in person. 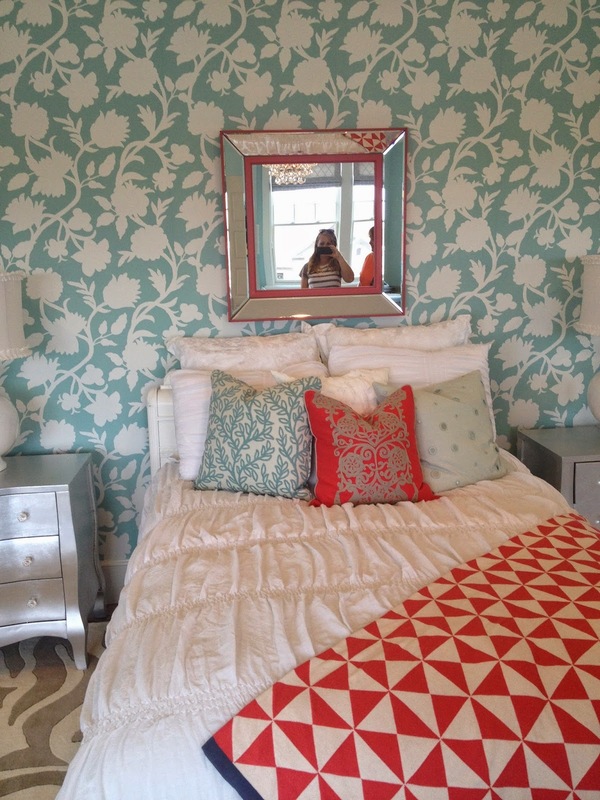 It was turquoise and coral and I loved the colors for a girl's room. The other picture I took was of a toilet? Which somehow the toilet was more picture worthy than the train track hanging down from one boy's ceiling, circling all throughout his room. The toilet beat out the 2 million dollar house that had a 3rd floor disguised as a mini children's museum of sorts. 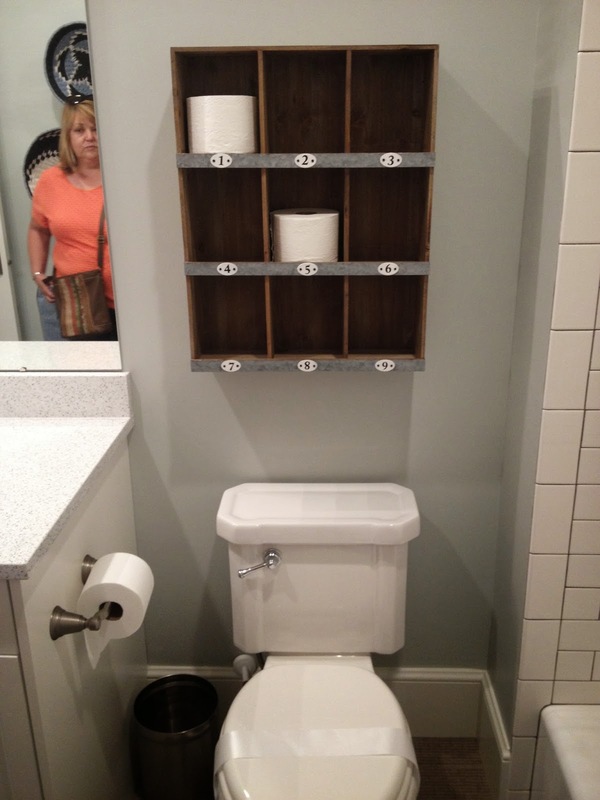 And the toilet was also more appealing than the little boy's room that had a tent, a little campfire, and all the ingredients for S'mores strategically placed around his outdoorsy themed room. By evening, we were done wasting time and would stop for nothing short of the million dollar residences -- where theater rooms are mandatory, where craft rooms are bigger than my entire kitchen, and where wallpaper is making a surprising comeback. 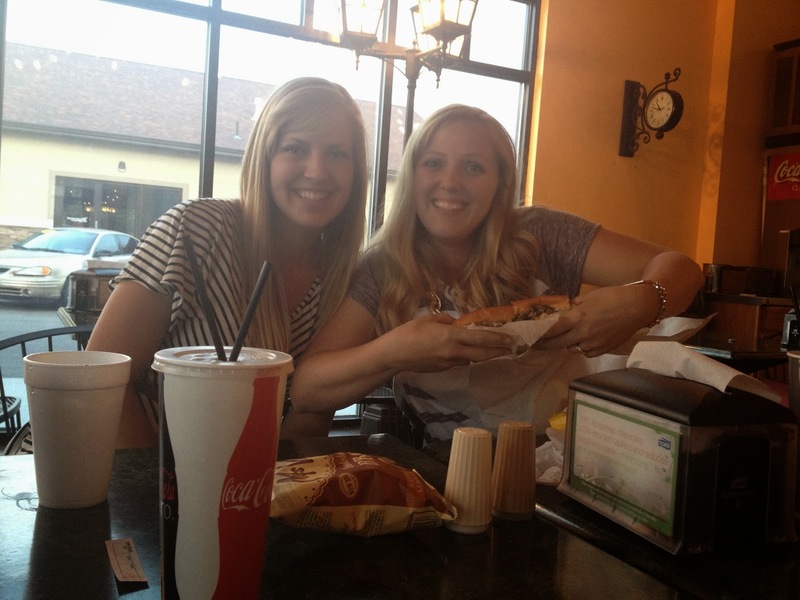 By 8:30, we came back to grips with reality when our hungry bellies struck. We went to The Italian Restaurant? Or something? Is that the one we went to? They had really good Philly sandwiches, and the perfect atmosphere for dissecting all of our favorite details of the houses. We had many moments of mourning Tana's absence since she wasn't able to make it this year. You were missed, Tana! Then it was back to the house for crafting, kettle corn and hours of talking about things our husbands would roll their eyes at. Just what GGW is all about! Would you believe me if I said we stayed up until 2:30?? I don't think I've voluntarily done that since college! We had so much fun. We had a relaxing morning filled with sleeping in until 9, dying hair and eating M&Ms until we left for lunch at a lively little Mexican restaurant. After some shopping, we made our way back to the house for our goodbyes and a quick photo op courtesy of self timer and a strategically placed high chair. I stand by the proclamation that I have the best in-laws there ever were. 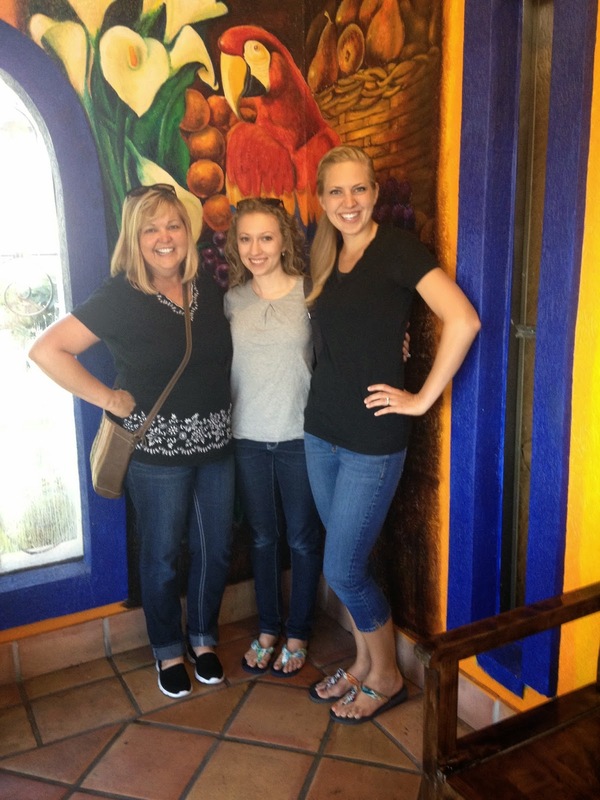 We have so much fun together and I'm grateful for the examples of such great ladies in my life! Until next year, GGW. How fun! I'm always jealous of your GGW. Don't Judge, but I love GGW so much it makes me cry! Thanks for the fun time girls, it was great. I am so glad you posted this Sarah! AND, I love my flip flops! My favorite picture is of the four of you standing in front of one of the Parade of Homes houses. You are definitely blessed to have such great in-laws. It's wonderful this GGW has continued each year. Don't let the tradition ever stop. I know you enjoy it and it makes for another great bog entry. Why haven't you written a new post yet?! WE--your captive audience--are waiting!